Microsoft today launched its Office 365 which will compete directly against Google Docs. Google introduced Google Docs which has been around for about three years now. Now ‘Microsoft Office 365’ will go head on with Google docs and with Microsoft Office used in a majority of computers, it is sure to see a head start in the race. 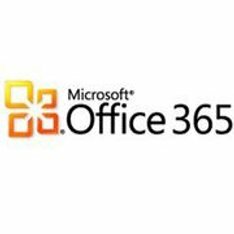 With 365, users can have online access to MS Office, Exchange Online, Lync Online instant-messaging software and even SharePoint online. The service costs $24 for a user for the cloud version as opposed to $50 charged by Google. The lighter version will cost only $2. The system is available as a beta version and is said to be final in 2011. It is even compatible with Office for Mac 2008 and also has major browser support. Google docs will face a real challenge not only from a pricing stand point but also from a ease of use and portability stand point. Microsoft office is used in most of the businesses and they would love to see the ease of transferring, editing and retrieving documents over the web.